You just had to come back, didn't you? You know I'm all about the new release from Whimsy Stamps! Don't say I didn't tell you. Yesterday. 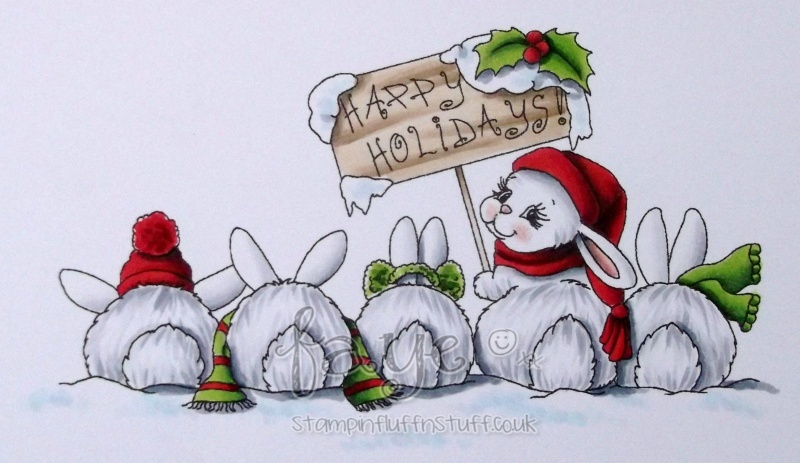 So, today, it's Christmas Bunny Row, by artist Crissy Armstrong. 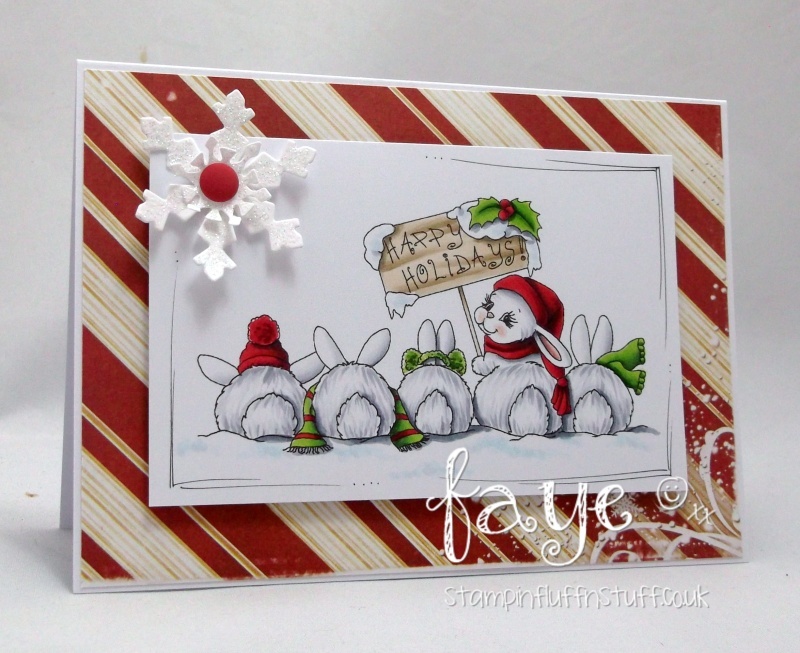 I was lucky enough to meet and colour with Crissy at the Whimsy Craft Retreat. She is THE sweetest gal, in the history of ever! Bet you wish you came now, don't you? ;) Maybe next year, huh?